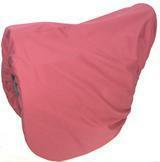 This extra large bag is great for travelling with your saddle and accessories. Durable 1000 denier nylon cordura with quilted lining will keep your saddle clean and scratch free. Heavy duty zipper. 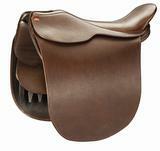 This bag will accomodate up to 23" saddles. Perfect for Shively's, Jeffries and other major brands! Available in Black, Red, Burgundy, Navy Blue, Hunter Green, Royal Blue or Brown. Trimmed in Black, White, Grey, Tan, Gold, Red, Hunter Green, Navy Blue or Yellow.